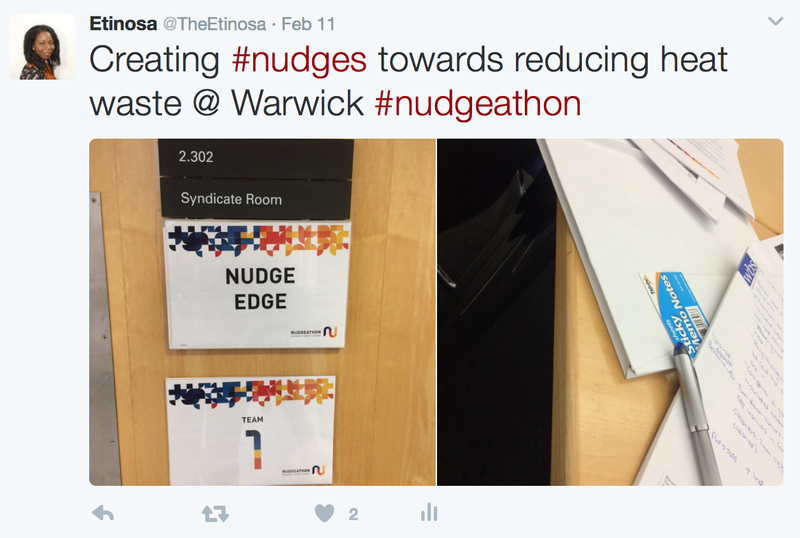 A 'nudge' in behavioral economics is any aspect of the way a choice is framed that can get people to act in a predictable way without actually reducing their options or affecting their economic incentives. I spent a weekend in February participating in Warwick Business School's Nudegathon, and my team and I worked on solutions to reducing heat energy waste around campus. It was quite beneficial to put some of the principles (like loss aversion, the psychophysics of risks, etc) I've been learning into practice, and was also interesting to see other people's ideas. Here's a link to more details of the event on the WBS site.